We have 5 paperbacks copies of Gemstone Detective for our UK readers to win. Kim’s a real expert in her field, her knowledge of gemstones, and genuine desire to help her readers make the right decision when purchasing a gemstone abroad, are why this book is a ‘must have’ for any traveller. 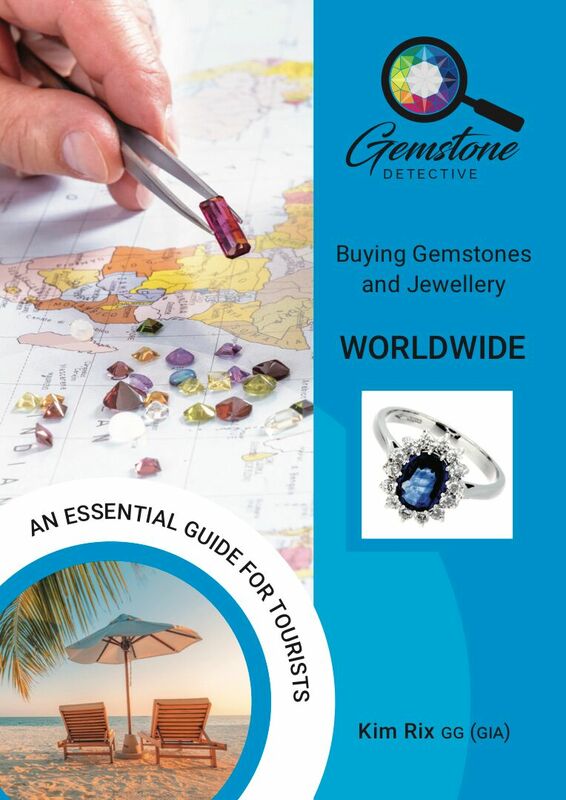 If you are considering purchasing a gemstone or piece of jewellery abroad, this book series is essential reading for the plane! It is full of expert advice, insider information and practical tips to help you better understand the trade. Each book contains the local, country-specific information you need: the low-down on local shops, markets and jewellery exhibitions; dos and don’ts for each country; popular local scams, and whether to haggle and how you should go about it. All this comes in addition to simple, jargon-free information about different gemstones. The Gemstone Detective series, is a ‘how to’ guide for anyone who wants to experience the fun, excitement and romance of buying jewellery in countries around the world renowned for their natural gemstones. Kim Rix is dedicated to visiting each country in the series to provide readers with the best advice.